Do You Owe Business Back Taxes? Do You Have Unfiled Business Returns? What Do You Need To Know About Business Taxes When Starting A Business? You have decided that it is time to go out on your own and start a business. You have created a plan on what you are going to do, how much you will charge, what it will cost you in expenses, and how much money you will make. However, have you thought about your tax obligations? Do you need to pay quarterly estimates? Are you responsible for payroll taxes? Will you have business taxes due to the State? Unemployment? Have you accounted for these expenses in your budget? Do you know what returns you will need to file and when they are due? Although taxes are not a fun or glamorous part of running a business, they are an essential part. Failure to properly plan for and pay your taxes may be the difference between your business succeeding or failing. When starting a small business, one of the main concerns for taxpayers is always money. Taxpayers not only need to make enough money to support their business, but also to pay their personal expenses. Many taxpayers to not calculate their tax expense into their budget. When it comes time to pay their taxes, there is not enough money. At this point, as a business owner, you are faced with a choice, timely pay your taxes, or pay your other business and personal expenses. Many business owners when faced with this problem choose to pay their more immediate expenses, planning to catch-up with their tax obligations at a later time. This can quickly lead to a cup game where a business owner is struggling to meet current business and tax obligations while also trying to pay their back taxes. These back taxes can prevent forward growth and expansion of the business. They may result in the IRS issuing levies and liens against the business, causing a loss of customers, revenue, and financing for the business. Back business taxes may also cause the business to fail. If you are just starting a business, there are steps you can take to help protect your business from future tax issues. First, determine what type of taxes your business is going to be required to pay. Different business types have different tax obligations and different return requirements. It is important to make sure you are informed of your obligations. A sole proprietorship’s income and expenses are reported on a schedule C on your form 1040, whereas partnerships and corporations all have their own tax return forms. A C-corporation has its own tax liability, whereas partnerships and S-corporations are pass-through entities, taxed at the individual level. Depending on your business type, you may be required to make quarterly estimates to cover your current year tax obligations. These estimates are due in April, June, September, and January. Failure to make these estimates may result in an additional penalty from the IRS that has to be paid in addition to the taxes. If you have people that work for you, you have to determine if they are sub-contractors or employees. For employees, you are responsible for payroll taxes. These include timely deposits and additional payroll returns. You may also have additional returns and deposits due to the State for both payroll and unemployment taxes. Failure to timely pay your payroll taxes will not only increase the interest and penalties, it can also lead to the business taxes being assessed to you personally. Generally, when taxes are not timely filed and paid, it takes time for the IRS to start sending notices. This leads to a false sense that it is ok to delay in paying your taxes to instead cover more immediate expenses. However, this is not true and can lead to huge financial issues. Failure to timely pay business taxes may lead to a business operating at an expense level that is greater than their business can support. 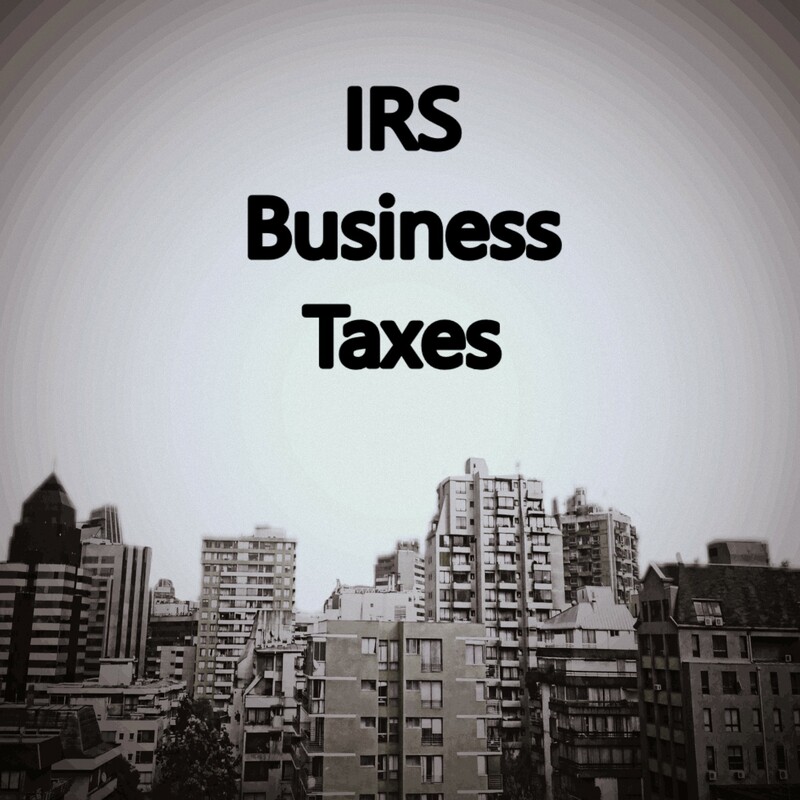 When the business is then IRS then catches up to the business and requires it to not only pay its current expenses and business expenses, it may be more than the business can afford and still continue to operate. Make sure that you have a system in place for keeping track of your business income and expenses. This is something that should be done no less than weekly. As a business owner, it is essential to know how your business is performing. Knowing your income and expenses lets you know not only where your business stands financially and what your tax obligation for the year may be. It will also help to ensure that you are not missing or forgetting to claim expenses by trying to put everything together at the end of the year. If you are already in business and have unfiled returns or owe back taxes, do not wait to seek tax help. The longer the problem goes unaddressed, the greater of a problem it will become. There are many resolution options available to help business taxpayers in paying back their tax debt. The first step is determining what ability your business has to pay its current obligations. If a business cannot meet its tax obligations, it needs to make immediate financial changes, so it can pay these taxes. Once the business can meet its current obligations it can begin to focus on its back taxes due. A tax relief expert can assist you with determining the correct tax resolution for your business back taxes. If Your Business Owes Back Taxes Or If You Have Unfiled Business Tax Returns, Contact Austin & Larson Tax Resolution. We Can Assist You With Getting Your Returns Filed And Help You Resolve Your Back-Taxes With The IRS. Make sure you timely file your business tax returns and pay your required business taxes. Learn about the tax requirements for your new business.